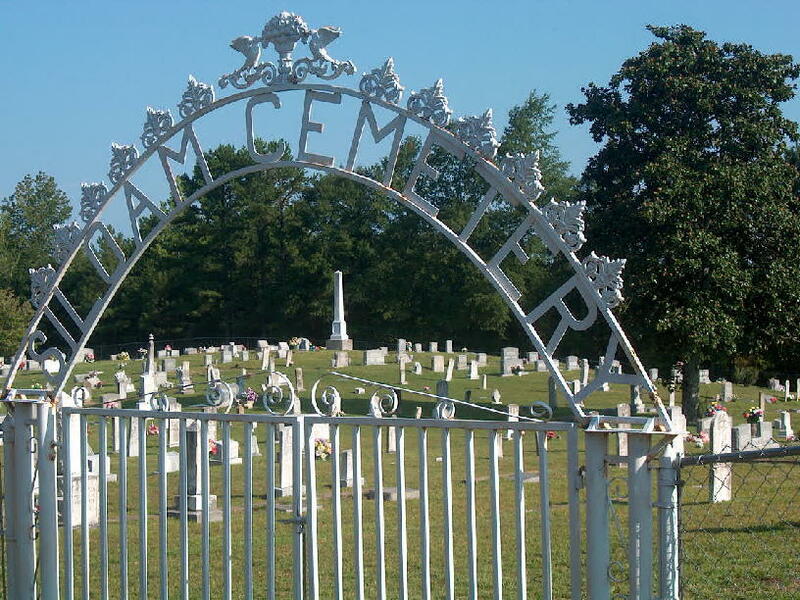 This Siloam Cemetery is located in Sumter County, Alabama, adjacent to the Siloam Baptist Church, south of York in the Siloam community. Taking AL Hwy 17 South from York, go approx. 5 miles, crossing US Hwy 80. Take Sumter County Road 9 on the right. Then turn right onto the first PAVED road -- Siloam Road. This leads directly to the church and cemetery. **NOTE: There is another, much smaller, cemetery located behind the NE back corner of the Siloam Cemetery. In all my years in the area, I have never heard the name of this little cemetery or its origins, although I suspect that it was begun as a slave cemetery at some point in time. Graves in this little cemetery are not maintained by the Siloam Cemetery Association. Neither are any of those graves included in the Siloam Cemetery grave listing, except on "find-a-grave.com" which allows folks to include whatever graves they wish. If you use the "find-a-grave" info, please also be aware that their postings for this Siloam Cemetery state that it is located in Ward. Neither the Siloam Cemetery, nor the Siloam Baptist Church, are located in Ward. They are, of course, located in the Siloam community, about 5 miles north of Ward and about 5 miles south of York. 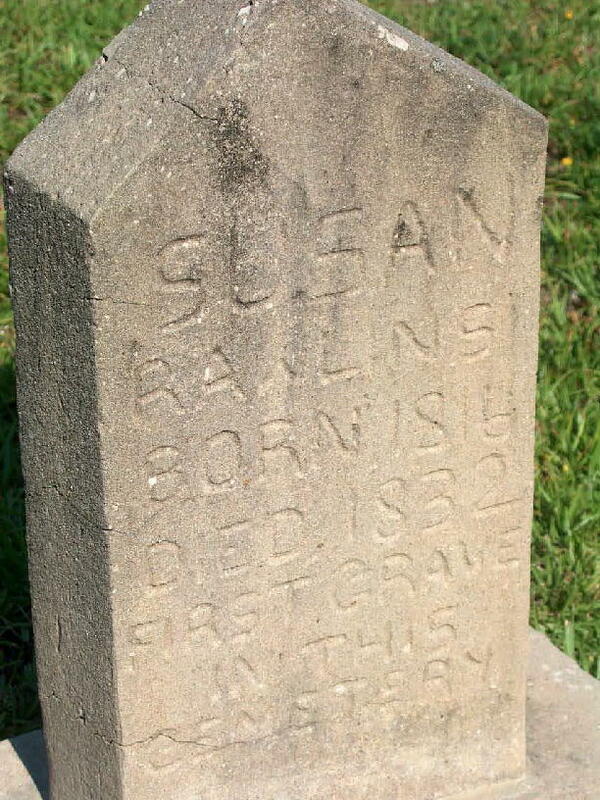 The first grave in the Siloam Cemetery was opened in 1832, the very year Siloam Baptist Church came into existence. The cemetery is located on land donated to and owned by Siloam Baptist Church for use as a cemetery. In early 2009, another plot of land was donated and deeded to the Church for cemetery expansion when it is needed in the future. In 1972, the Siloam Cemetery Association was formed and incorporated. This allowed the Cemetery Association to operate separately in order to manage its donations, and for cemetery upkeep. The Siloam Cemetery Association meets every May, on the Saturday AFTER Mother's Day. Folks usually arrive early to visit and place flowers on graves. The Cemetery Association meets inside the Siloam Baptist Church, beginning with a simple worship service at 11:00 am. This is followed by the annual business meeting, and then a potluck lunch enjoyed by everyone. The next meeting of the Siloam Cemetery Association will be Saturday, May 19, 2018, at 11:00. DONATIONS may be made at any time by making your check payable to the Siloam Cemetery Association, and mailing it to Skip Holder (Sec./Treas. ), 71 W.L. Ezell Road, York, AL 36925. BYLAWS OF THE SILOAM CEMETERY ASSOCIATION, INC. I. NAME - Siloam Cemetery Association, Inc.
II. PURPOSE - Maintenance and upkeep of cemetery. III. MEMBERSHIP - The association shall be composed of all the living who have kin buried in Siloam Cemetery. IV. OFFICERS - This association shall have five directors which shall be elected each year by the association members present at the annual meeting. This association shall have a chairman, vice-chairman, and a secretary-treasurer. a. The Chairman of the Board of Directors shall appoint a nominating committee to nominate the above officers and the maintenance committee consisting of three members. b. The Chairman shall preside at all of the meetings of the association and be responsible for the program of the annual meeting of the association. c. The Vice-Chairman shall perform all the duties of the Chairman in the absence of the Chairman. d. The Secretary-Treasurer shall keep a record of the annual meeting and all funds of the association, disbursing funds as directed by the association and reporting to the association at its annual meeting. e. The Maintenance Committee shall consist of three members. The duties of this committee shall be to see that the cemetery is kept in good condition. V. AUTHORITY - While independent and sovereign in its own share, the association will not exercise any authority over the land that now contains the cemetery. The Chairman of the Board of Directors will assist in the selection of lots. VI. AMENDMENTS - Amendments to the By-Laws may be made at the annual meeting of the association when two-thirds of the members present vote in favor of the amendment. The following amendments to the By-Laws have been adopted: a. No lots shall be sold in the above-named cemetery. (Am. 5-15-1988). b. Identifying markers are required for all burials after May 18, 1996, and such markers must be placed to mark the grave within six months of burial. (Am. 5-18-1996). c. Only descendants and the spouses of those buried in the Siloam Cemetery shall be allowed to be buried. An exception shall be made for those persons who are not descendants of anyone buried in the cemetery, but who have already had permission to be buried there prior to this amendment. (Am. 5-14-2005). The following amendment was adopted May 16, 2009: Because Siloam Baptist Church owns the Siloam Cemetery as has the right to bury church members in the cemetery, the Siloam Cemetery Association will continue its operations as in the past, with reference to maintenance and upkeep of the cemetery and its funds, until whatever time in the future the Church no longer needs the Cemetery Association. This cancels out Amendment C, adopted in 2005. BURIAL LISTING ---- This is an alphabetical listing of burials in the Siloam Cemetery. Previous burial listings only went through 1972. Mr. Jud Arrington and a helper did a census of the cemetery, which was published in his book Public Cemeteries of Sumter County, Alabama, 1834-1972. However, that book contained many errors. I have personally conducted another census of the cemetery, and all listings below are as I found them, current through September 2011. The initials "dm" as used below mean "double marker". Francesco Antonio Iannuzzi, 4/7/1938 - (dm, "AL DI LA DELLA VOLTA INFINITA, AL DI LA DELLA VITA" "Joyce and Frank did not have it all together, but together they had it all!" Hers - "Joyce, superior intellect, profound wisdom, iron will and never ending love for all!" His - "Frank, pursued a dream that Joyce made real!" This is a photo of Susan Rawlins' marker.